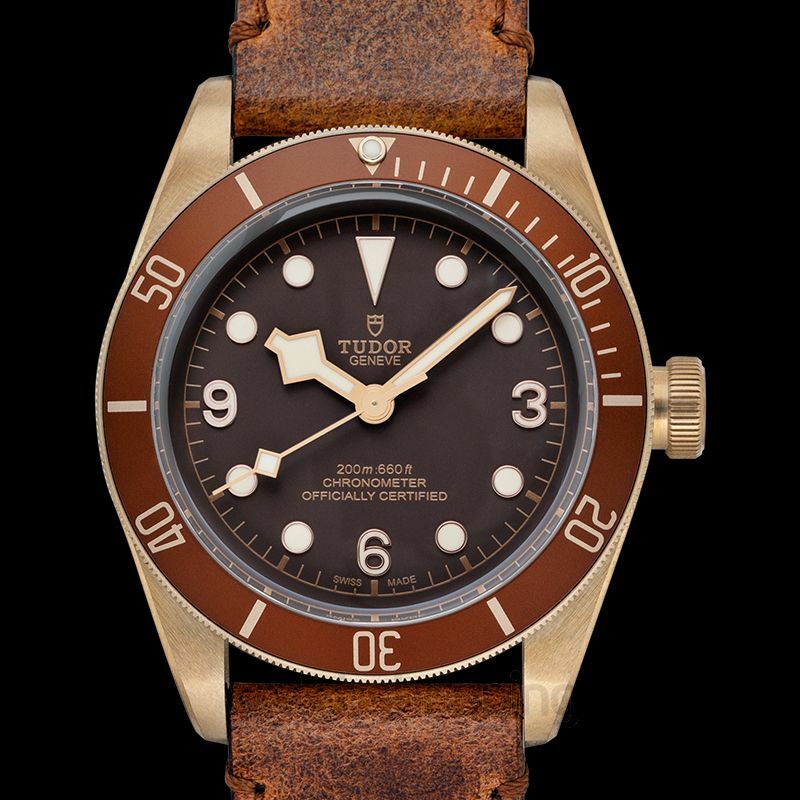 Tudor Heritage Black Bay Bronze Brown is a dress watch with a uni-directional rotating bezel on top. 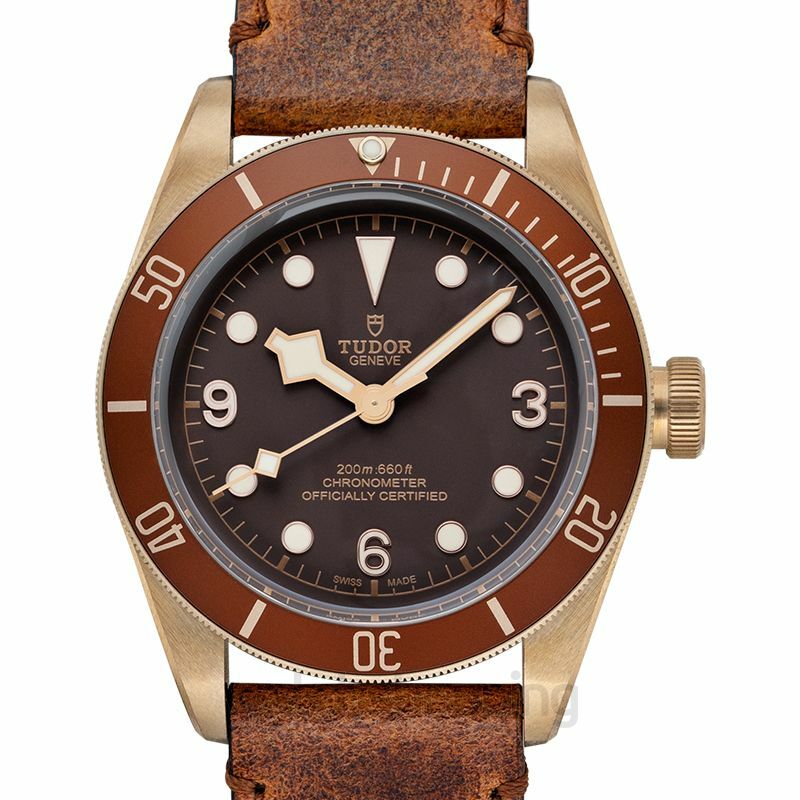 The matte brown dial on this watch along with Arabic numerals marking the 3, 6 and 9 o’clock position give this watch an elegant touch. 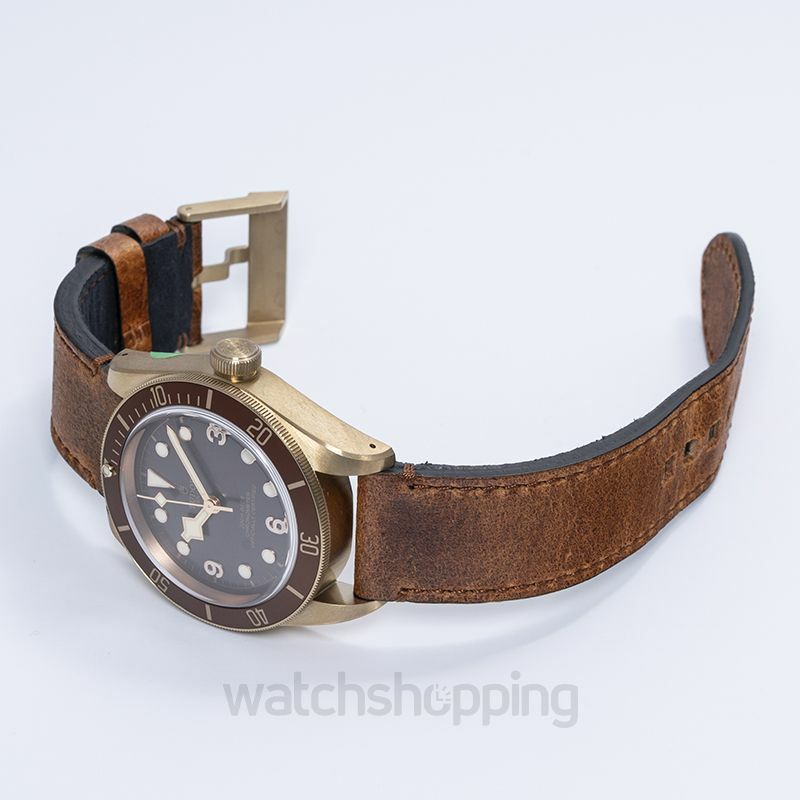 With luminous bronze hand style and minute markers present on the outer rim of this watch complete its look. 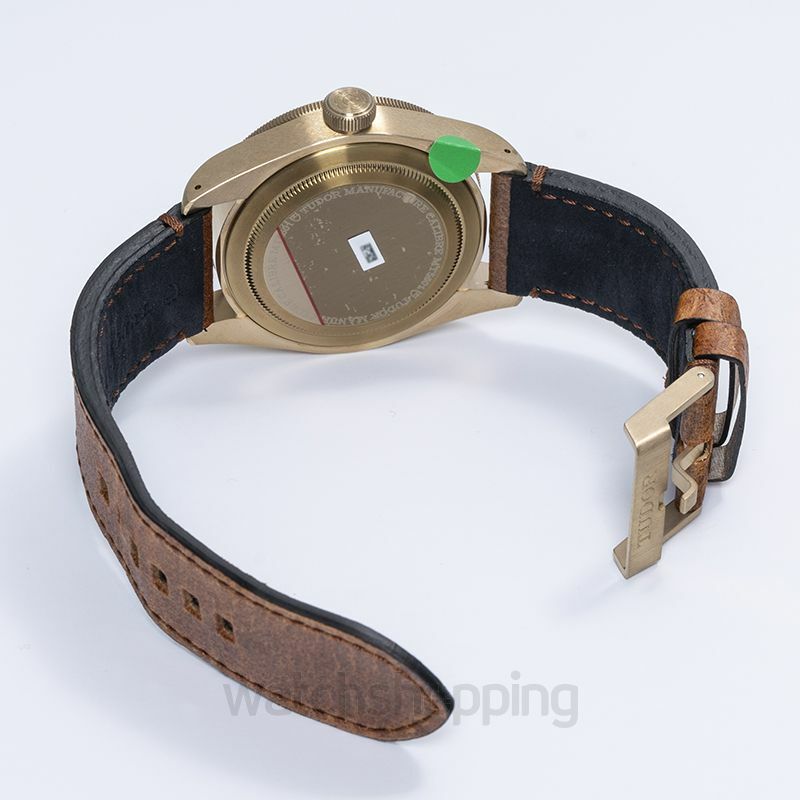 This watch has a 70-hour power reserve and is also water resistant.